Who knew that the shoes you wore as a teen or in your early adult life would have such a long lasting effect in the last half of your life? I sure didn’t. Maybe your feet have not reacted to your choice of footwear as much as mine have over the years, but if your toes tend to curl inward, then you may know what I’m talking about. As a teen in the 70’s, I would balance on top of crazy high wedges hiding underneath my bell bottom blue jeans. I remember the day I was standing at the copy machine, feeling shooting pain in my calves and it occurred to me, why am I doing this to my body? I was 38 years old. It took almost 20 years of working in an office wearing heels that forced my toes into a point and strained my calves before I started valuing “sensible” shoes over “looking-good” shoes. I fear I have crossed over into the “THEY” that is talked about in the poem. Now when I select a shoe, my criteria is all about fit, function and support. Dress shoes are never higher than a two inch pump. My sneakers are all running shoes with insoles. I want them to have a similar heel height for running. And I make sure that my boots have arch support and a good non-slip tread. I hope you don’t share my foot problems. Toes – My big toes curl toward the center and my baby toes curl under. This is from too many years in those tight, pretty office shoes with a heel. Ankles – An old ligament injury from falling while giving my sister a piggy back ride has affected the resilency of my right ankle in my long term. Achilles – Walking all weekend in flat mud boots back in April 2006 started Achilles tendonitis problems in both legs. It was 24 visits to physical therapy to repair that weekend injury. I still have issues with the right one, particularly if I over do the running without enough recovery time or build up time. Now I do a variety of exercises and recovery routines to keep strong and limber in those tendons. Arch – I have high arches, but rolling a golf ball, medium lightly, under my arch, helps to keep the fascia pliable and helps to stop planter fascitis. Corns – I used to have corns. The corns would form on my little toe where it rubbed all day on those office pumps with the high heels. When I wore heels, my foot was forced down so my little toes had no where to go but to curl under my other toes into weird positions. Now, after not wearing high heels for twenty-plus years, I don’t have any corns. Bunions – Luckily I quit wearing those shoes before a full bunion formed on my right foot. There is a bit of a bone bump, but not too bad. My Mother-in-Law had painful bunion surgery. She had a very high threshold for pain and told me “If I knew how bad this would hurt, I would have done something differently.” I decided that was one problem I was going to avoid making worse on my foot, if possible. No more pointy toe shoes for me! “Drop” is a term that describes the thickness of the heel to the forefoot. High heel shoes have a huge drop. I have become more acquainted with this word as it relates to the foam and gel in my running shoes. They say you shouldn’t change the drop abruptly. Drop refers to the heel height of the shoe. My freshman year of college I had a pair of “earth shoes” that gave me crazy pain when I decided to wear them all over campus. This was as a result of abruptly and exclusively switching the drop to a negative heel. Zero drop means the heel and toe are the same distance from the ground. This is known as minimalist and mimics going barefoot. I found out that easing into a new drop is important. Switching different shoes around helps your feet muscles to be more adjustable to different heights. For instance, I know when I wear dress shoes that I haven’t worn for a while – let’s say to a wedding where I do a lot of dancing – I sure can tell later in the night and next day. My feet tend to cramp up and I can feel the plantar fascia start to act up. The amount of cushion you have on your shoe is a personal thing. Some people are very adamant about the right amount. I just know that switching the drop abruptly can cause foot problems for me! In the last few years as I have started to run longer distances, I notice that it has become even more important that the shoes I select really have to fit well. I may try on 10 to 15 pairs of shoes before selecting the next running pair. Sometimes I go to four different running stores – not just to check prices – I want to hear the opinions of the different people who fit the shoes. 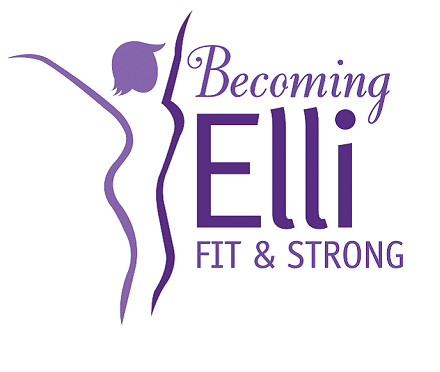 I check out the online reviews of the different models, the brands and compare how they fit my feet. Too tight around the toe area – the box – and my “dogs will be barking.” I don’t believe I have wide feet, but after running a few miles, my feet swell slightly. I try to remember that so I don’t tie the laces too tight at the beginning of a long run. I’ve learned to do different lacing styles to hold my narrow heel into the back of the shoe. I use the last hole which helps to move my foot back in the shoe just slightly. I don’t want my heel to raise out of the back when I run forward. It would result at best in a callus and at worst a big blister. Recently at the electronics show in Las Vegas, a shoe company launched a new self-lacing shoe that allows you to use your phone to adjust the fit to your foot. They cost around $300 and seem ridiculous! Maybe if I was a professional athlete, I wouldn’t think the price was so crazy or that changing the tightness of your shoe from your phone would be so silly. I think back to the first time I ever did a run. I was in my red Keds. I went out for the track team when there was a new law (Title 9) and our school was forming a girls’ track team for the first time. I ran 5 miles the first day and ended up with shin splints. So much for my school athletics! Just like when you are creating something, having the right tool for the job makes all the difference. 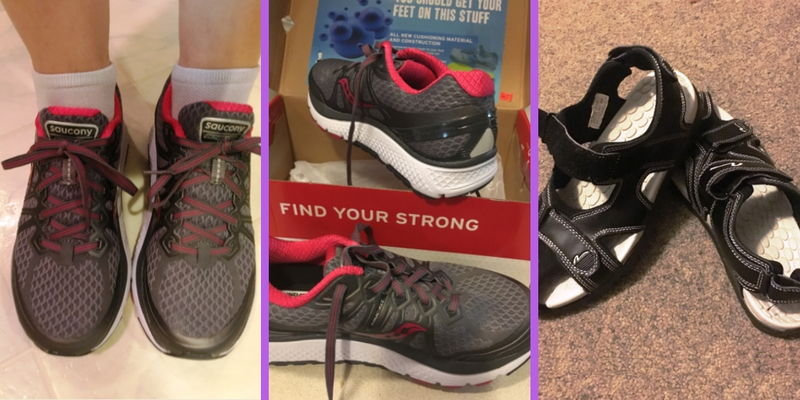 Finding the right shoe for exercise or just for walking can be a challenge as I have found out over the past few years. I often like to use my running shoes for walking and even some cross training. I know many runners that use their running shoes for running only. When my current running shoes start getting older (around 300 miles on them), they get moved in the hierarchy of my closet. Best pair – running. Second best – walking. Third best – gardening, yard work and mud. My third best often get new insoles. I can end up doing a lot of steps in the yard without realizing it and having older shoes where the cushion is starting to get worn can create a bigger problem. Many shoe models get revised slightly each year, so what fit perfectly last year, may not be what you want this year. Different drops, shoe boxes and even where the stitching runs over the top of the foot makes a difference. I have found my favorite bike shoes and they are actually sandals. They have cleats on the bottom that clip into the bike pedals. The reason I like them so much is that they have three points of velcro adjustments. So fit is great. Also, because they have lots of room to breathe, my feet don’t get too hot when I’m riding in the summer. The only weird part is that the bumps on the base, that are designed to massage the base of your foot I think, are too intense for my feet. I always wear socks. I know that this is a fashion faux pas, but like I mentioned, I’m more interested in fit, function and support than how they look. This is my second pair of sandals. I wore the first pair until they were ready to fall apart! Most of the wear was on the right foot because that is the foot I tend to put down first. How about Your Experiences with Shoes? What shoes do you use for exercise? Have you changed the shoes you wear at work or play for comfort? Do you have any foot problems that you take into consideration? What about boots for hiking or in the snow? Let me know your thoughts. 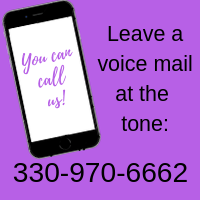 You can leave a message below or contact me by leaving a voicemail 330-970-6662 or sending an email to chris@becomingelli.com. Disclaimer: I am not a doctor or a physical therapist or even an expert on shoes. I am just sharing my experiences with treating and avoiding foot problems. Consult your doctor or a podiatrist or a physical therapist if you have foot issues. Well yes – those beautiful high heels to work every day. Who would be seen in flats? Now at my vast age and following a fall that resulted in TBI a few years ago, flats are the only shoes, apart from a couple of wedges, that I wear. We surely didn’t know the effect our shoes would have on our feet in later life. As a child, I had to wear corrective shoes. That means I wore saddle shoes when they weren’t in style and big heavy orthopedic shoes. I remember hating those shoes so much. I felt like a freak at school. The funny thing is that when I eventually was deemed “corrected” and could start to wear the cute loafers everyone else wore, the saddle shoes came back into style. I was appalled. Now I wear shoes for comfort and support. I lived in my Teva sandals while traveling this year. They provide a fair amount of support for walking. I too keep at least three pairs of my running shoes around. I have discovered that I sometimes blame my shoes for pains that are actually originating in my back or hips. Anyway, dress shoes are still a problem. I too love my Clarks. I really think someone should create “running shoes” that look like dress shoes though without the heels of course. You are so right!! Whoever invents shoes that feel like running shoes and look like work shoes… well, they would make a FORTUNE!